Productivity is my number one concern even though I am well out of corporate life, because there is never enough time to get everything done that I need to do. Obtaining the right tools takes more than money. You need to find a tool that will actually save you enough time to justify its purchase. In order to make that judgment, you might want to do the task using cheaper alternatives until you can clearly evaluate the value of purchasing the "right tool" for you. For example, last year I justified buying an electric log splitter on the basis of safety and 7X production over manual log splitting. I split logs manually until I clearly saw the need for more firewood in less time with less risk to life and limb. 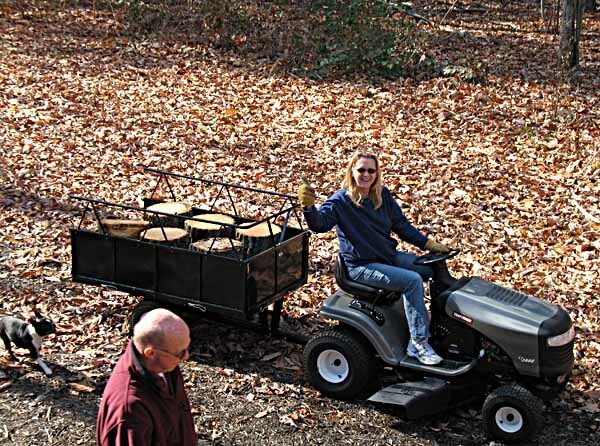 This year, I finally justified a lawn tractor and dump cart for moving firewood and garden supplies around my property. I had put it off for two years based on the cost involved and I was amazed that my productivity and my willingness to do onerous chores went sky-high. Moving unwieldy pieces of construction debris, concrete blocks, or bags of topsoil is no longer a chore to put off until better weather. The tractor and dump cart make short work of such chores. They inspire me to improve my landscaping efforts and to put in order where none existed before. A side benefit in having the right tools for difficult jobs is that I have no difficulty in enlisting help from volunteers. 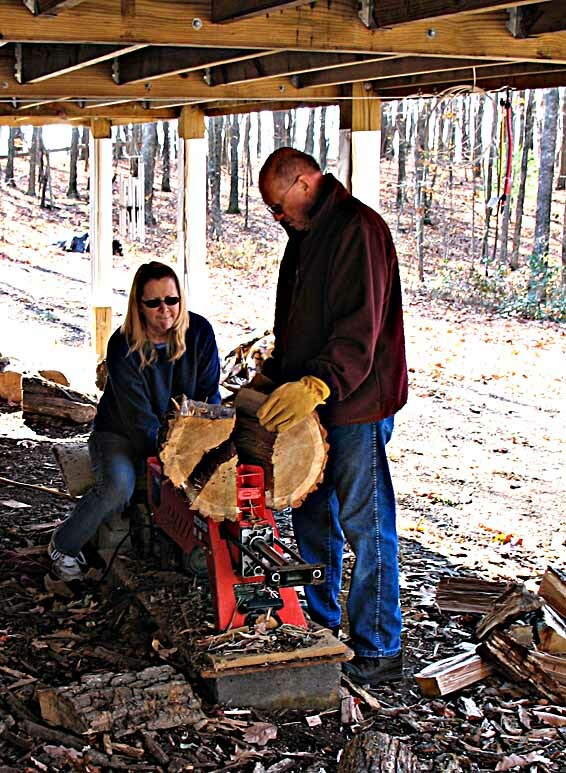 Family and neighbors enjoy doing cool stuff with the right tools! This year I also invested in a computerized mat cutter for my framing business. It took an enjoyable, but painstaking task of hand cutting mats and changed it to a more profitable activity with many additional options for creative expression. I can create mats of considerable complexity in less time than I could cut a simple mat before. I love tools that work well, but it is a matter of balancing the Gee-Whiz factor of something new and shiny against the inexorable need to make tools pay for themselves. Some dandy new tools, especially software, have such a steep learning curve that you will spend more time learning to use the tool than you will save with it. We have five computers in our household at last count and every one of them is the lowest cost solution for a particular set of problems. Hardware is so inexpensive these days, usually about $500/unit that it almost makes sense to add another system to the network rather than upgrade to a high-end system. Access and usability, not ownership, is the key as far as I am concerned. Renting instead of buying may work out best in your case, but there are other options such as co-ownership or borrowing with an agreed rental and repair agreement. The bottom line is that if you are not getting all of your tasks and chores done, are there tools which will boost your productivity enough to offset the cost of these tools? If that is not possible, have you looked at resetting your expectations? Once you have the tools you need to get things done quickly, you will run into the other big barrier to production which is lack of space. That is deserving of a separate article and will be published as Part 2. 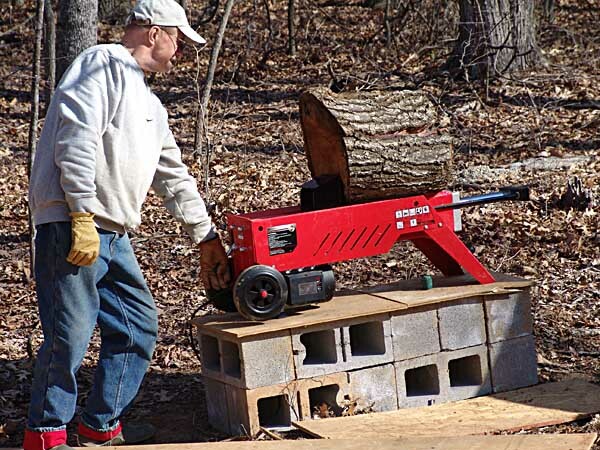 This entry was posted in Country Living, Possibly Helpful Advice and tagged Computerized mat cutter, dump cart, electric log splitter, home computer network, lawn tractor, personal productivity, the right tools. Bookmark the permalink. Sounds like you’ve got the Tom Sawyer fence painting down to a science. I’ll have to admit running the log splitter is fun.